As part of its Project SNAPS activities, JRP and Jeevika have worked closely with two local high schools to raise awareness of reproductive health and hygiene, and how sanitary napkins (SNAPS) provide a viable and healthy alternative to traditional methods of dealing with menstruation. Utkalmani Girls High School in the Khurdha District of Odisha, is one of the two schools where JRP installed a sanitary napkin vending machine to support their need for low-cost, hygienic SNAPS. Prior to the installation of the vending machine, many girls missed at least four days of school each month which amounts to more than one month per year. They fell behind in their studies and sometimes even dropped out of school completely. 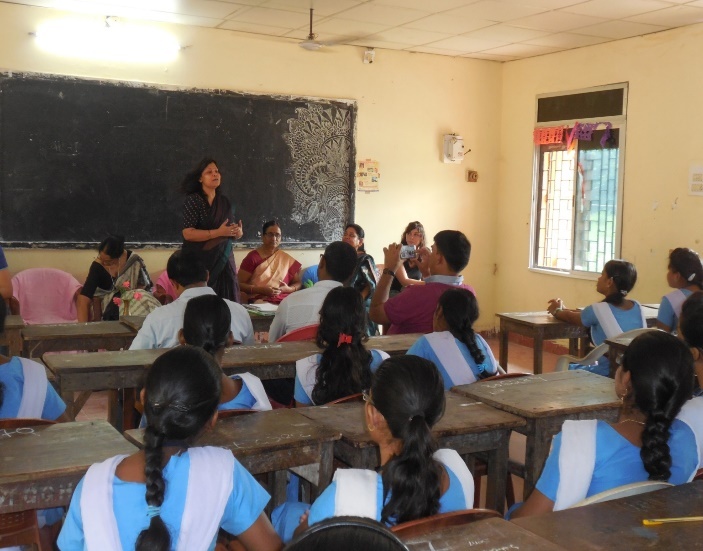 All students at Utkalmani Girls High School now understand the importance of personal hygiene during the menstrual cycle and the use and safe disposal of SNAPS and are committed to continuing to use them. Their teachers are also committed to providing support and advice to their students and the channels of communication have been opened on what was once, for them, a very private issue. Unfortunately there are many more girls in rural India who do not have access to hygienic sanitary napkins or the means to dispose of them safely and discreetly. So please do help us help more girls in rural India by visiting our donate page to make a simple donation to keep Project SNAPS going.